Marvell-Elaine High School proudly announces that Jada Booth, Makayla English, and Araya Holder have been chosen to attend Arkansas Governor's School this summer. Governor's School is a six week residential program for up-coming gifted and talented seniors. 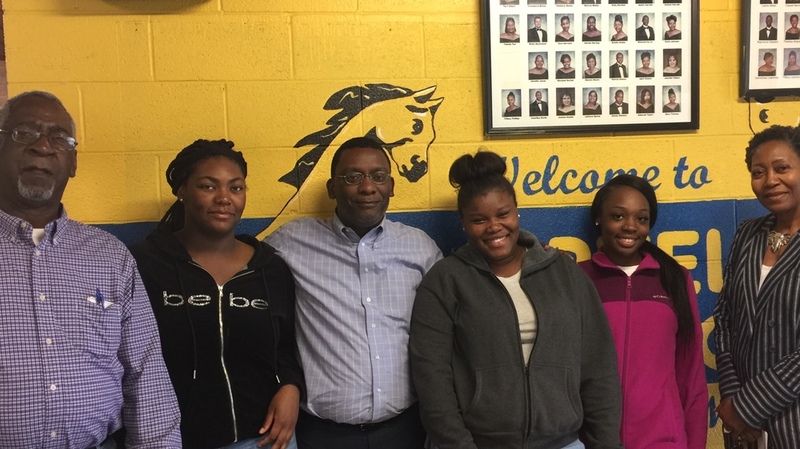 Board President, Clyde Williams , Jada Booth, High School Principal, Dr. Tommie Henderson, Makayla English, Araya Holder and Superintendent, Dr. Joyce Cottoms.